NORTHBROOK, Ill. (WLS) -- Police released a photo of a person of interest wanted in connection with the Dec. 7 strangulation death of 36-year-old Jigar Patel in north suburban Northbrook. 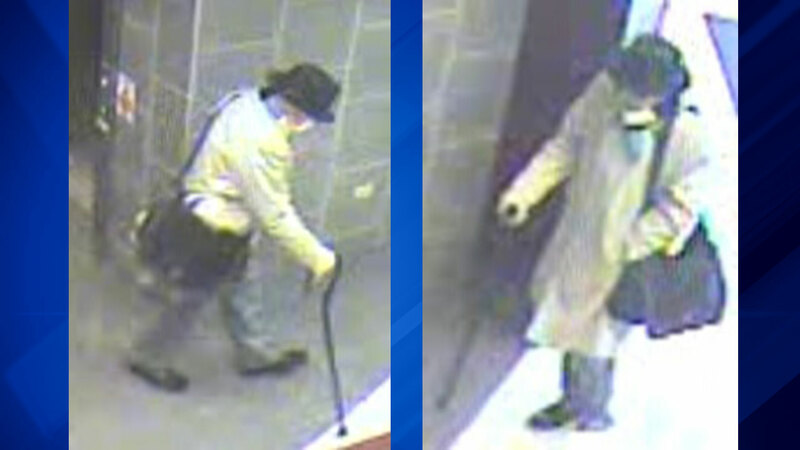 The two photos, apparently from surveillance video, show a man in a trenchcoat and hat holding a cane. Patel was found murdered in an office building in the 1300-block of Shermer Road at about 7:30 p.m. Dec. 7. Police released the photos on Wednesday and noted that they believe the murder was "an isolated incident and there is no threat to the community." Friends described Patel as a strong family man who lived in Prospect Heights, 20 minutes away from his job. As a lawyer he worked on small business and real estate transactions, according to his website. Anyone with information is asked to call Northbrook police at 847-664-4181.